The Spanish island of Menorca is well positioned in the Mediterranean. It offers a relaxed holiday destination for beach lovers, water sports enthusiasts, and anyone who enjoys the sunny side of life. The glorious climate provides up to 11 hours of sunshine a day. Let’s not forget the temperatures of around 29C in the summer months! Even in October temperatures can reach 22C. This makes the island an ideal holiday spot for breaks later in the year. Menorca is one of the Balearic Islands, which also include Mallorca, Ibiza, and Formentera. The peaceful atmosphere and unspoiled coastline make Menorca a favourite for families. Despite its small size, the island has great attractions if you want to do more than just lie on the beach. 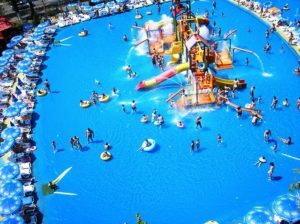 Two fantastic water parks are a big draw for kids big and small. The Los Delfines AquaPark in Cala en Blanes has a feast of water-based fun rides. Spread across a large site, the park also has a special children’s area. The AquaRock Water Park in Cala n Bosch is smaller but still good, especially if your children are younger. As well as a range of water slides, there are three swimming pools and trampolines. If you prefer to stay dry, then choose a glass-bottom boat trip. These gentle cruises allow you to see plenty of sea life below the waves. You can also take in some of the island’s interesting sights such as the Fortress of La Mola. Away from the more obvious things, Menorca has a rich array of ancient buildings and sites to explore. The Fortress of La Mola dates from between 1850 and 1875. It was built on behalf of the British by the Spanish as a defence against the French when they occupied nearby Algeria. Many consider it to be a masterpiece and it’s well worth visiting. 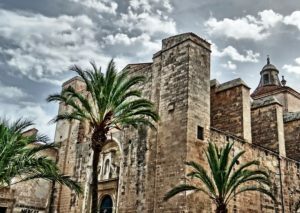 It’s also a good idea to visit Ciutadella, a former capital of Menorca. Its busy, winding streets contain many 17th-century Italian-style buildings. The town is on the part of the island that’s nearest to Mallorca. On a clear day (of which there are many), it’s possible to see its mountains and coastline. The modern-day capital of Menorca is Mahon (known also as Mao). The stunning harbour has many cafes and restaurants where you can relax and watch the yachts and boats go by. The thriving port town is on the east of the island. It contains a lot of Georgian architecture dating from British colonial times, as well as narrow lanes and shady squares. Menorca’s landscape is unspoilt and has a variety of habitats and landscapes. In 1993, the island was designated a UNESCO Biosphere Reserve in recognition of its diverse flora and fauna. Beautiful beaches and dunes on the coast nestle against the island’s canyons, woodlands, caves, and wildflower pastures. The S’Albufera d’es Grau Park is in the north east and contains Menorca’s largest wetland. Because of rare breeds that are hard to find elsewhere, it’s very popular with birdwatchers. If you enjoy active holidays, water sports facilities are dotted around the island. Popular choices include windsurfing, kayaking, parasailing, and jet skiing. The more sedate can hire a pedalo. Menorca’s warm waters also have nearly fifty dive sites and visibility of around 100 feet (30 metres). This means it’s super easy to spot the variety of sea life around you! 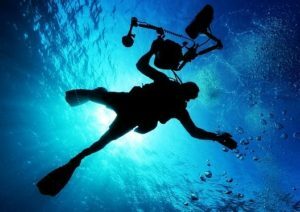 Cave, cavern, and wreck dives challenge divers with more experience, but there are plenty of straightforward options for novice divers too. The island is very easy to get to, with an international airport near Mahon and plenty of connecting flights to other parts of Spain. Menorca’s small size makes it manageable in terms of getting around and car hire is a good option for exploring independently. There’s an excellent variety of hotels, timeshare resorts, and B&Bs to suit all budgets. And wherever you stay, you’ll never be far from a beach!